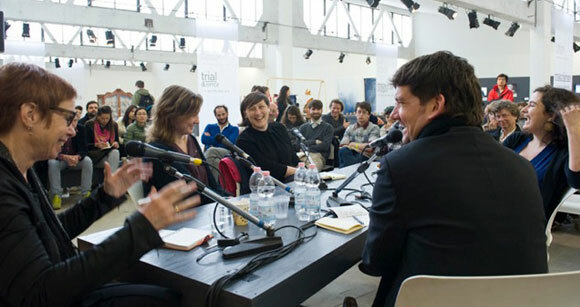 During the 2013 Salone del Mobile in Milan, I participated in one of Premsela/DAE’s Milan Breakfasts, discussing Linking Process alongside moderator Tracy Metz, DAE’s Miriam van der Lubbe, V&A’s Corinna Gardner and Vitra Design Museum’s Marc Zehntner. The breakfasts have become a staple of the Salone in the last years, and I was delighted to have the opportunity to discuss the display of designer’s processes in recent exhibitions and in the museum and gallery context. Discussion was accompanied by coffee and brioches (the Milanese term for croissant), and a podcast of the hour-long discussion can be heard on Soundcloud. Thank you to DAE/Premsela!